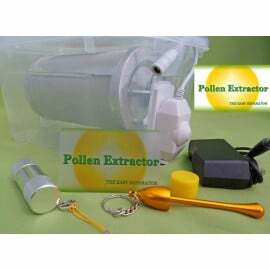 Pollinator - Pollen Extractor for Home Grow. Stainless steel filter & mesh, twigs/ branches cannot harm them. Adjustable speed control; slow for trimmings & flowers; medium-fast for twigs or other. Buy a Combo Pack & save ! Combo Packs There are 5 products. 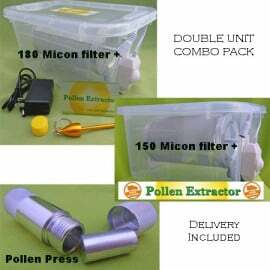 Pack includes; Snoop Dogg Vaporizer + 1 Gallon Ice Bags x5 Delivery included ! 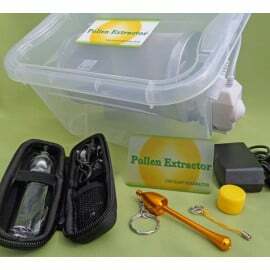 Pack Includes; eGo Dry Herb/Wax Vaporizer + 1 Gallon Ice Bubble Bagsx5 Delivery included !